Friday, January 26, 2018 by Isabelle Z. A white Maltese mix dog nearly died after someone decided to color her hair purple with dye meant for humans. When the pup arrived at Pinellas County Animal Services, her eyes were swollen shut and her body was covered in severe burns. The five-pound dog, Violet, was also listless and limp. Her burns were so severe, in fact, that vets didn’t think she’d survive. She ended up losing several layers of skin. They treated her with antibiotics, IV fluids, honey, anesthesia, and pain medications, and were shocked when she survived her first night. Violet underwent three months of extensive medical treatment, but she has since made a full recovery. Pinellas Animal Services is now taking the opportunity to warn people not to use hair dye on animals. They shared heartbreaking, graphic photos of the injured pet on their Facebook page, along with a warning. Animal Services is actively looking for whoever dyed the dog’s hair and left her to die. Charges are expected to be filed if the person responsible is found. A dog groomer has now adopted the dog. Woof Gang Bakery and Grooming Salon’s David Anderson reports that the dog has a friendly demeanor despite her ordeal. Although it is difficult to imagine why anyone would want to color their dog’s hair, pet-safe hair dyes do exist. Earthwise Pet Supply’s Tracey Hubbell, a professional dog groomer, told ABC Action News that she tests animal-safe hair dye on small areas of a dog’s fur and looks for adverse reactions before proceeding. If human hair dye can cause such serious damage to animals, what is it doing to your health? Many people color their hair without giving it a second thought, whether it’s to cover up grays or change their look. In fact, it’s pretty much routine for some people. 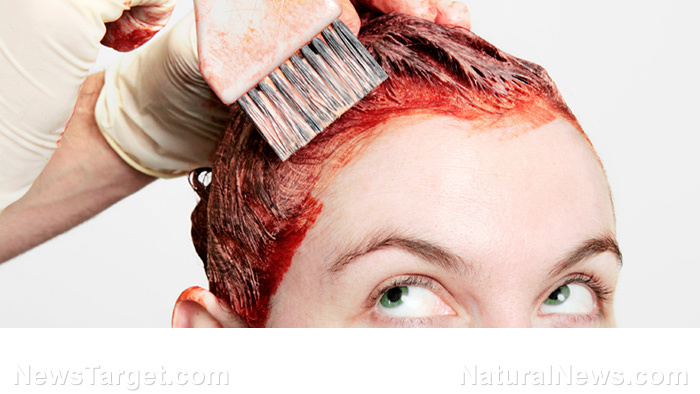 Home hair dye instructions advise consumers to carry out a small patch test before coloring their entire head, although this is a step that many people – and most salons – skip entirely. Even if you’ve successfully dyed your hair in the past, however, that does not mean you’re out of the woods. Some people develop allergies to hair dye after using it over many years, and it often starts out subtly. Redness, itching, burning and swelling after coloring hair can be a sign of an allergy. This is often caused by the paraphenylenediamine (PPD) in hair dyes, and darker colors contain more of it and are therefore riskier. As unpleasant as an extreme allergic reaction can be, it could actually be much worse: Hair dyes have also been linked to a higher risk of cancer, especially bladder cancer and blood cancers like lymphoma and leukemia. One study found that women who use hair dyes – particularly those who started before 1980 or tend to use darker shades – had a higher risk of certain types of non-Hodgkin lymphoma. Thankfully, there are a lot of natural ways you can color your hair, including coffee, tea, and henna. If you do feel the need to use conventional hair dyes, always perform the patch test first. Even if you are prepared to accept the risks of coloring your own hair, be sure to never, ever use human hair dye on your pets! Explore more news on the negative health effects of toxic chemicals by reading Toxins.news.